Rihanna has had some really beautiful songs. She is an icon of music and of women in general. 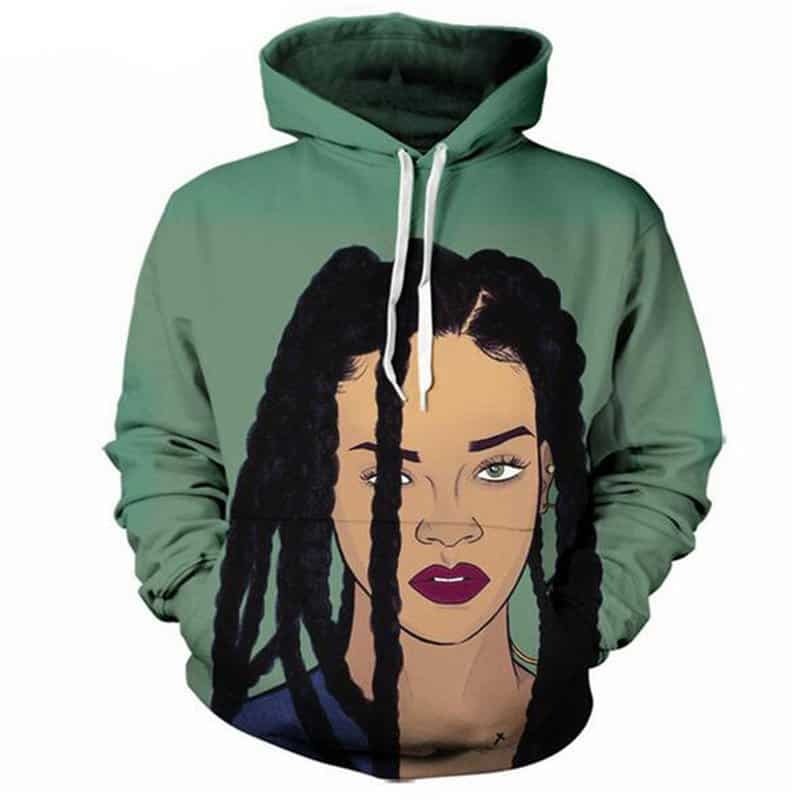 This Rihanna Street Hoodie displays the natural side to her. A beautiful print with of her with dreadlocks style. The hoodie is comfortable to wear, looks fashionable and is wearable anywhere. It was designed for both male and female.